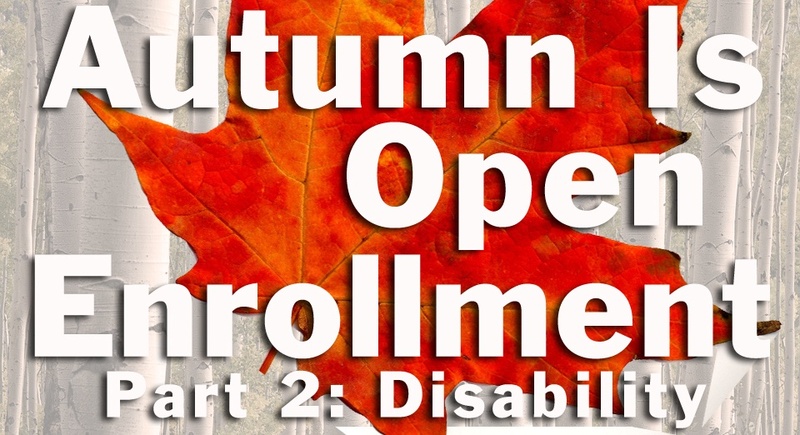 Sheri’s take: As this year’s open enrollment period goes into full swing, you and your family can use the opportunity to not only review your healthcare coverage, but also to take a fresh look at life and disability insurance coverage available to you. Last week, we were pleased to share an insightful guest post on group and individual life insurance considerations, compliments of Mark Maurer, CFP®, MBA, president and CEO of LLIS. This week, Mark continues his commentary, this time turning to the equally important subject of disability insurance. Please let us know if we can answer additional questions for you about either. What is your biggest asset? If you’re not retired, it’s probably your ability to earn an income. That income pays for the smaller quality-of-life perks like your child’s ballet lessons and your weekly cappuccino splurge. It also covers the big things, like the mortgage, college, and retirement. 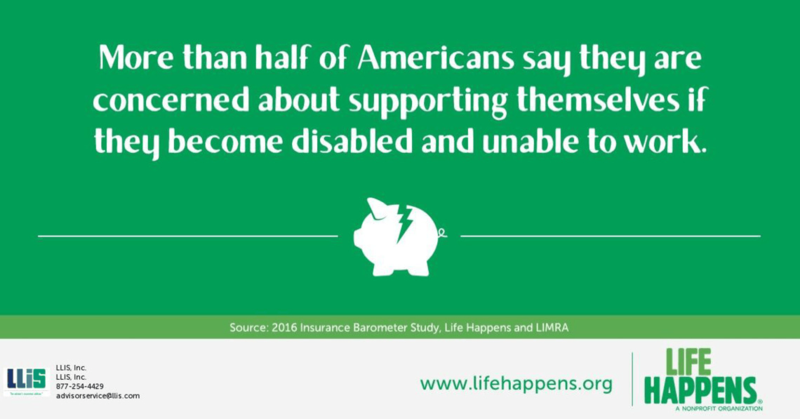 Disability insurance is there to kick in and assist with either or both should your own income-earning capabilities be derailed. A recent Harvard University study revealed that 72% of individuals who filed for bankruptcy due to medical expenses had some type of health insurance, which debunks the myth that only the uninsured face financial catastrophes when hit with large medical bills. Without disability insurance to keep your household income flowing, your ideal lifestyle dreams may become a nightmarish stay in a shared hospital room, while your family wonders how they’re going to make ends meet. Unfortunately, most people haven’t planned for replacing this sort of income lost to illness or injury. And most don’t consider it until they have a family member, friend, or co-worker experience a financially challenging medical emergency. But “most people” doesn’t have to be you! Do you depend on your paycheck to meet financial needs and obligations and accomplish your financial goals? If so, consider disability insurance more of a necessity than a frill. Are you considering a career change, switching employers, or becoming self-employed? 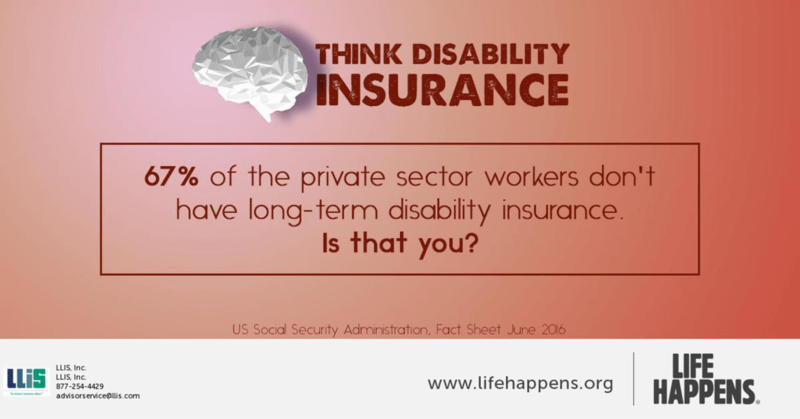 Remember that group disability coverage is tied to your job and typically is not portable. Even if you intend to stay with your current employer indefinitely, you may not want to establish a scenario in which you have to, just to retain disability benefits. What about taxes? If your employer pays the premiums for a group policy, expect to receive a Form 1099 at the end of a claim year, with potentially taxable income to report. In contrast, individual policy pay-outs are non-taxable if the premiums were paid with after-tax dollars from your personal account. Are you in a high-salary or highly specialized profession? A group policy will often have restrictive disability definitions. Typically, you must be 100% disabled and unable to work at any type of job. In contrast, you may be able to obtain an individual policy offering many disability definition levels, such as specifying “own occupation.” This means you can receive benefits if you cannot perform your own occupation’s specific duties, even if you could work in another field. This is especially important for professionals such as physicians, dentists, athletes and others who may not want to take a considerably less-appealing job just to get by. What if your employer changes or cancels their group coverage? Again, you may prefer maintaining control over your own disability insurance destiny. Employers can change or cancel group coverage any time, and so can their insurance providers. By now, you may be thinking: This all sounds great, but can I afford this kind of coverage? If you’ve done any looking on your own, you may have been daunted by the pricing out there, and/or worried you may not even know what kind or amount of coverage to select. You don’t want to be sold a bum deal that will only be obvious in hindsight! Here’s where I’m going to offer a modest pitch for LLIS’ services. Whether we’re acting as a stand-alone provider or in alliance with your financial advisor, it’s worth noting that everyone on our team is salaried, not commission-based – including our disability insurance agents. This better positions us to provide objective advice that’s in your best interests, instead of selling overpriced products that may pay us well but serve you poorly. In this context, right-fitting, individual disability insurance may be more affordable than you think. You also may be wondering what happens if you’ve got individual and group disability coverage. Your individual policy will always be your primary one, paying full benefits regardless of any other benefits you may receive; it cannot be reduced. But the opposite is not always true. While group disability benefits are rarely reduced by benefits from individual disability policies, they may be reduced by Social Security, workers’ compensation, or other group insurance benefits. Also, remember that there are two types of disability: short- and long-term. The most common short-term disabilities are pregnancy, injury, and digestive disorders. 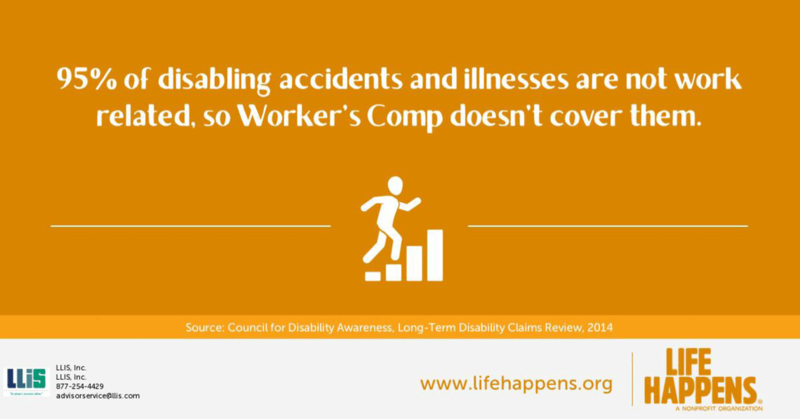 For long-term (worker’s compensation) coverage, the most common disabilities are back and back-related problems, cancer, mental health, and heart disease. For short-term disabilities, most financial advisors we work with typically counsel their clients to build an emergency fund to self-insure themselves, and to purchase an individual long-term disability policy for the bigger-ticket threats. These are rules of thumb, though, so it’s important to think through both scenarios for yourself. And, by the way, if you’re an employer yourself, covering both types can be an excellent employee retention tool! 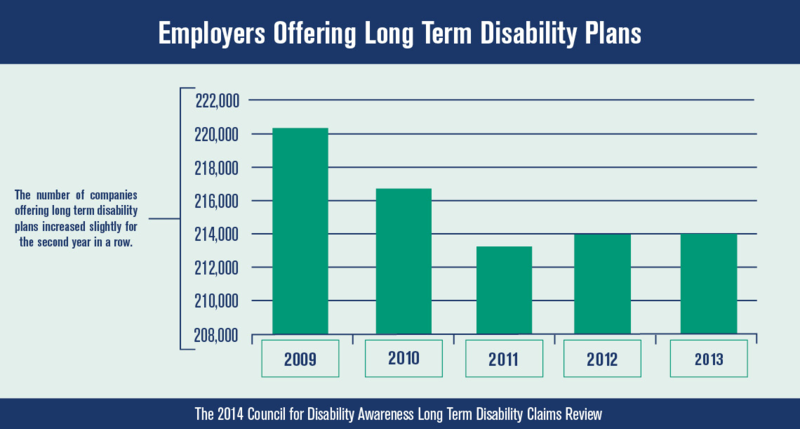 The good news is that more employers seem to be offering group long-term disability insurance. However, fewer employees were insured by long-term disability insurance benefit plans. We suspect that one reason for this decline is that people are choosing to purchase their own income-replacement plans, as we’ve discussed here. We hope we’ve at least got you thinking about whether and how much group and individual disability coverage would be appropriate for you and your family. Don’t let the conversation end here, though. We’ve got quite a bit of experience in the matter, and what we’ve discovered is this: The best time to get good disability coverage in place is when you may least expect to need it! SAGE Serendipity: If you like listening to books try The New Yorker’s The Writer’s Voice: Fiction from the Magazine: New Yorker fiction writers read their stories. They are about 30 minutes to an hour, short enough for a taking in the whole story on a drive, and it’s fun to hear the author’s inflections in their own voice. You can also catch the podcast here at WNYC.